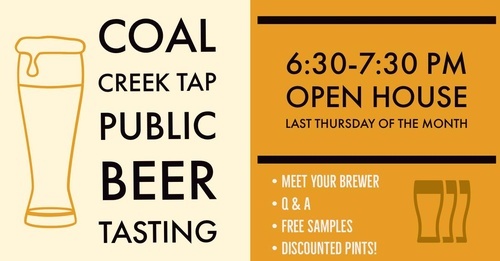 Once a month Coal Creek Tap is hosting a casual, informative, and FREE public beer tasting for all lovers (or lovers to-be) of craft beer! Come to our brewery any time between 6:30-7:30pm on the last Thursday of every month. Free samples will be given to all participants as well as discounted pints on featured brews.